Damn it. Huge points haul and I still didn't win this week! Still, i've got little green up arrows for all t the leagues. Pretty. Official scores on the doors? As we approach a series of quick fire fixtures, GW17 seemed to go by in a veritable flash. & what a flash it was too. Chelski showed the league that they don’t really need a manger as their team suddenly discovered last season’s form & actually now have a player in the Dream Team. A five goal thriller on Merseyside saw Leicester’s pizza munchers take top spot for xmas while Palace sub Lee Chung-yong hit their winner so hard it would have taken Butland’s fingers off had he got near it. After the Canaries took Untidy to task, LVG has earmarked the biggest box under his xmas tree to clear his desk into should they fall to Stoke this weekend. Reports of Mourinho offering the use of his Aldi box are so far unconfirmed. Bournemouth took their seaside roadshow to West Brom & came away with 3 sticks of rock as Villa, despite a draw, stay firmly at the foot of the table for another week…..or 3. The Normal One still couldn’t catch a break & his mob were stung by the Hornets away from home as something or other happened at managerless Swansea. The GW came to a climax last night with a top of the table dual, but despite Aguero coming back into the fray (allegedly) City succumbed to the Gooners despite a late push spurred on by Yaya’s rather aloof chipped goal which served to end Cech’s hopes for a clean sheet record, leaving Arsenal 2 points off the top & City 6 adrift of last years bottom club. But all that faff aside, there was plenty of points to be had in the week’s FPL battle & despite some huge IGM tallies, the EIB overcame a Sunday night deficit to sneak a +29 point win for GW17. This leaves the IGM a mere 2 points in the lead overall with the EIB breathing down their necks as choruses of Close To Me ring out at the Stadium of Faith. The now adorn’s @mort’s Nobby Nobbs XI’s xmas tree once again. & with a whopping 102 points, eastmidswhizzkid’s eastmidswhizzkids get a third successive to set their ears ringing over the festive season. In the H2H, IGM took the week 18-15 , cutting EIB’s lead to 19 points. @mort’s Nobby Nobbs XI hold a 5 point lead at the top of the pile so while everyone around the table at his xmas dinner gets a paper hat out of a cracker, he will be be sporting the . Back in the shed, all the decorations are up, despite Basil’s best efforts to eat the paper chains as we brace for another bash. wilgy’s been tasked with making the punch this week, so this could get messy. I also sent my scouts out to get footage of the pizza eaters so as to study their tactics & the effect of dough, tomato sauce & cheese based foodstuffs on their performance in the face of adversity. Unfortunately he came back with a Teenage Mutant Ninja Turtles box set. At least we have an alternative to The Sound of Music & The Great Escape which will no doubt be on TV this weekend. 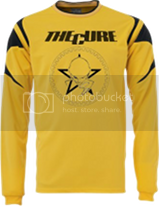 If I wear a Cure t shirt under an old yellow Arsenal shirt, the result is too close to the real thing, can't go out wearing that combo' - I'd get mobbed by the Portugeses Bloke, wanting advice. As it's almost Christmas I'd be nice. Dole Office is second on the left. Thank you for letting me be better than all of you ............................ cough. I beat you in H2H. another EIB victory. where are we going wrong? when i say "we" obviously i dont mean me and MsStrange -to whom, kudos for running me a close second this week, well done Jo- but i shall leave finger-pointing and hair-dryer hoying to our management. so...an historic third-consecutive big shout-out! well done me! (apologies for blowing my own trumpet, but i dont see anyone else offering and if i could i would). 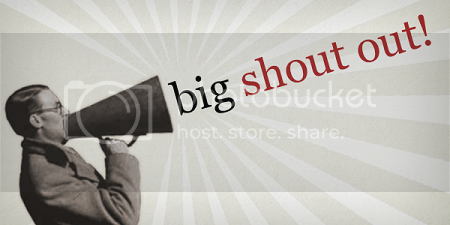 i do remember something being said about the "big shout out" graphic being retired in my honour, should i acheive my tremendous treble of triumph. i have magnaminously decided to allow its continued use provided it is undertaken by all participants to NEVER FORGET my MOST EXCELLENT ACHEIVEMENT and buy me a pint when next we may meet. edit. As of Sunday evening IGM were something like 36 in front. I thought you'd take it at one point, what with everyone & their wife having Ozil on board.